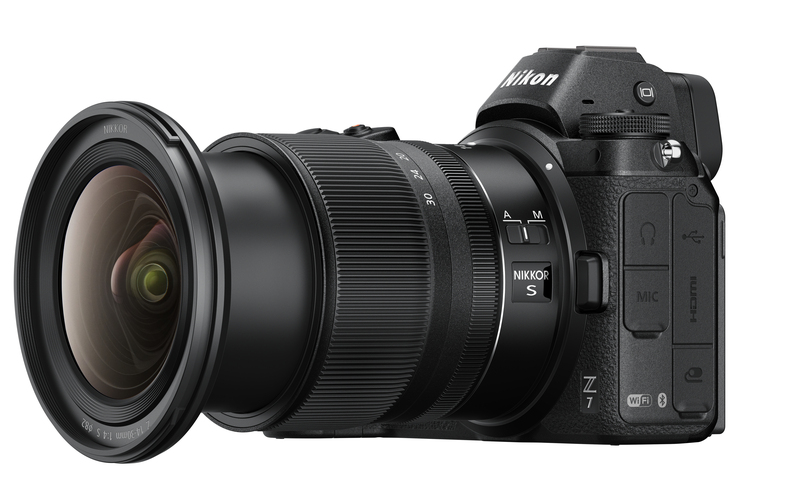 Nikon has officially announced the Nikkor Z 14-30mm F4 S lens, the first ultra-wide, moderate speed zoom for its full-frame mirrorless system. The Nikkor Z 14-30mm F4 S was previously disclosed in a ‘roadmap’ during the launch of the new system at Photokina 2018. Weighing just 485g (17oz) and measuring 85mm (3.5 ins) long when retracted, the new lens is relatively light and compact, especially when compared with the current Nikon AF-S Nikkor 16-35mm F4G ED VR for DSLRs. 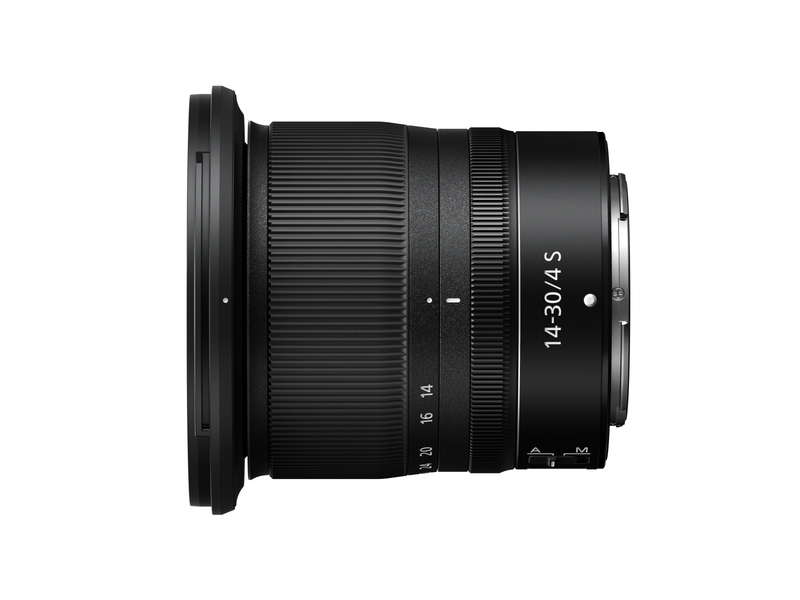 With a nearly flat front element the new lens also supports screw-in (82mm) filters, a world’s first for the focal length at the time of publishing according to Nikon. The Nikkor Z 14-30mm F4 S lens adopts a total of 14 elements, including four aspherical and four ED elements in its construction. Nikon claims that the design of the lens reduces “focus breathing”, where the angle of view or focal length changes when the focus distance of the lens is changed. The resultant change in magnification is particularly noticeable when focus stacking or filming and anything that reduces or eliminates the phenomenon is considered a benefit. A single Nano Crystal Coat helps prevent ghosting and flare, while front and rear lens surfaces use a fluorine coating to make it easier to remove marks from water droplets and fingerprints. Focusing is achieved by a single STM (stepping motor) for smooth and quiet autofocus. Another feature that suggests that new S-series lenses are so far more attuned to filmmakers than photographers, perhaps in an attempt to distinguish them from the F-series, at least until the new system becomes more established. 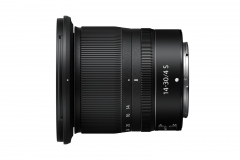 Like other Z-mount lenses, the 14-30mm F4 is weather sealed and it features a customisable control ring, which is used for manual focus but can be re-programmed to adjust exposure compensation or aperture values. This small and relatively light lens sounds promising for landscapes or architecture, especially when hiking distances. 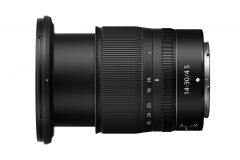 However, while the 14mm focal length is an obvious and well established focal length, the choice of 30mm and not 28mm at its longest is somewhat baffling and a slight faux-pas. 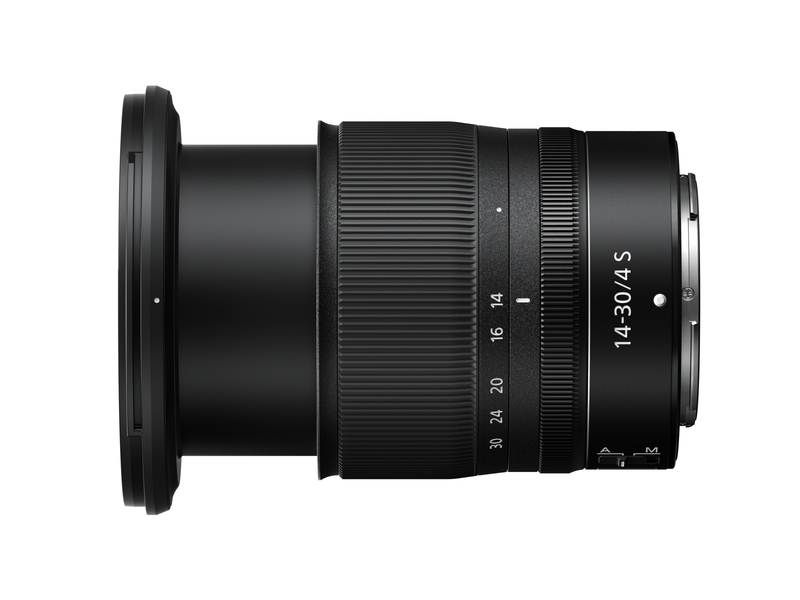 This appears to be a missed opportunity not go wider and/or longer, and for existing owners conflicts with the AF-S Nikkors 14-24mm F2.8G and 16-35mm F4 VR. Nevertheless, all could be forgiven if Nikon can deliver on image quality. 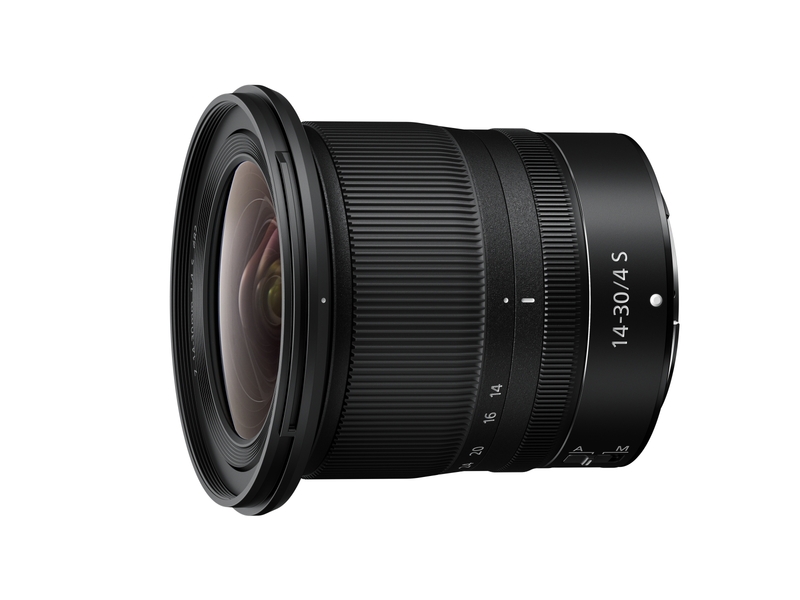 The Nikkor Z 14-30mm F4 S will be available in April. 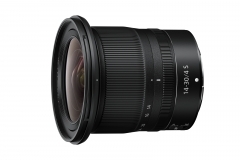 London, United Kingdom, 8th January 2019: Nikon today adds the NIKKOR Z 14–30mm f/4 to the new range of full-frame S-Line lenses designed for Nikon Z mirrorless cameras. Boasting a compact build and a flat front element, this retractable ultra-wide-angle zoom widens the creative opportunities for Nikon Z photographers. It’s great for stills, and even better for video. The NIKKOR Z 14–30mm f/4 is the world’s first full-frame ultra-wide-angle lens to boast a flat front element.1 This unique design feature allows use of 82 mm filters without the need for bulky filter holders. Photographers get more control and more freedom whether shooting landscapes, cityscapes, architecture, interiors, or movies. A compact build, retractable lens mechanism, and extensive weather sealing, ready this lens for travel. New NIKKOR Z optical formulas, and fast communication between lens and camera, ensure the distortion common to wide-angle photography is minimised. Sharpness is exceptional. A constant f/4 aperture lets movie shooters track from bright daylight to shadowy interiors with ease. Filter-ready: the world’s first full-frame ultra-wide-angle lens to accept 82 mm filters1 without the need for bulky filter holders. NIKKOR Z: designed around the wide Nikon Z mount, this lens can capture more light across the entire frame. S-Line: next-dimension optical design. Anti-reflective Nano Crystal Coat. Smooth, silent multi-focusing system. Customisable control ring: can be used for manual focusing (default), aperture control (great for iris transitions during video recording), or exposure compensation. Great for movies: silent aperture adjustment. Focus breathing is reduced, as is focus-shift while zooming. Compact and protected: a retractable lens mechanism ensures this lens takes up minimal space when not in use. Extensive sealing protects from dust and moisture. ← Capture One Pro: Should you buy a perpetual license or a subscription?